Modular building specialist Portakabin has helped with the expansion of the UK’s largest offsite-built free school campus. 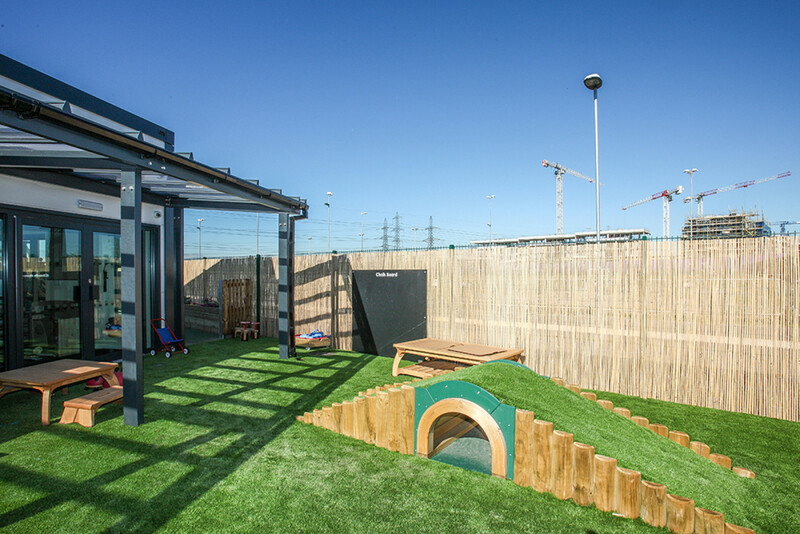 Portakabin delivered a third building on Barking Riverside Nursery’s Riverside Campus to provide 50 children between the ages of 0-5 with space to grow, to learn and to play. After completion of the three main schools in 2017, Portakabin was chosen by London Borough of Barking and Dagenham to deliver the 50-place private nursery, which is situated just north of Riverside Primary School. The new building provides three classrooms with dedicated toilets, a kitchen, laundry room, staff room and office space. The classrooms, in which children will be separated by age group, will open out onto an exterior soft play area providing children with ample space to play, grow and learn. To help enhance the natural environment surrounding the nursery and campus, more than 32 different species of local trees and plants have been planted. Habitats such as bat and bird nesting boxes have been installed on trees and in hedgerows in order to improve local wildlife and provide a varied natural environment. Nick Griffin, General Manager for Sales at Portakabin said, “Riverside Campus was a high-profile school development, in a rapid growth area. Our team achieved feats of construction that had never been reached before and we delivered the largest free school to be built offsite on time and on budget. Riverside Campus is a three-school site including Riverside Primary, Riverside Secondary and Riverside Bridge special educational needs (SEN) school. The 24,000m2 campus, which accommodates 2,700 children aged 0-19, was built by Portakabin offsite before being installed onsite in Barking.